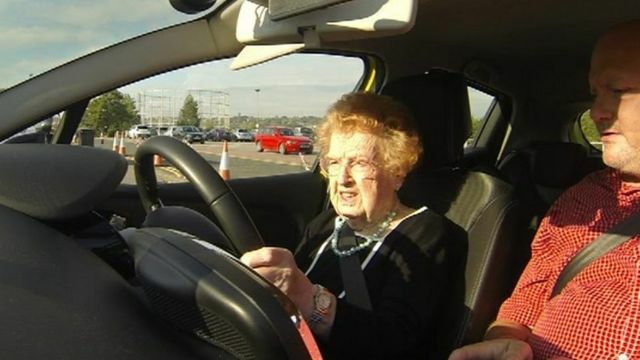 A 92-year-old woman has started a driving course in a bid to give her "a little bit of independence". Betty Jones, from Barnsley, said getting on the road was "something she had always wanted to do", but admitted she was unlikely to ever gain a full licence. BBC Look North met her in Huddersfield as she got behind the wheel.